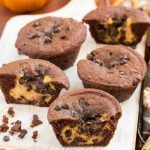 These chocolate pumpkin cheesecake muffins are a rich chocolate muffin with a surprise chocolate chip pumpkin cheesecake center. A pumpkin lover and chocoholic’s delight! Pumpkin cheesecake is great on its own, but when you stuff it inside a chocolate muffin it’s even more delicious! 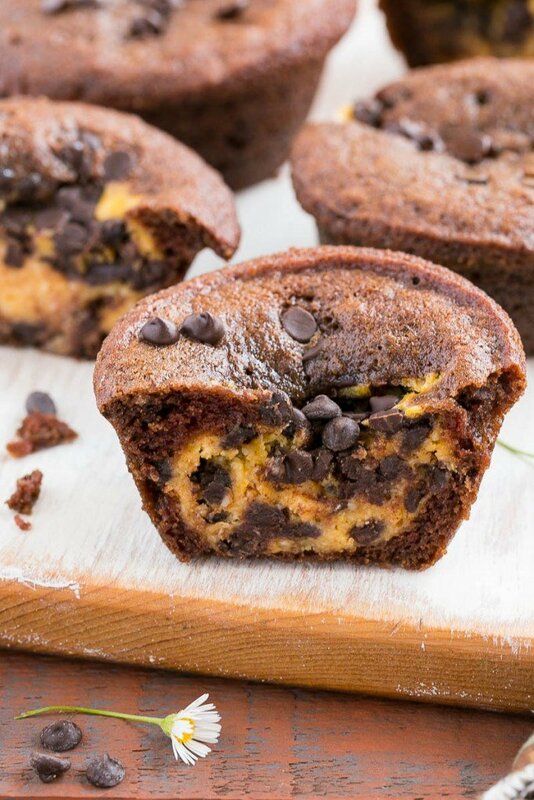 There’s just something magical about the combination of chocolate and pumpkin, and these muffins are the best of all worlds. 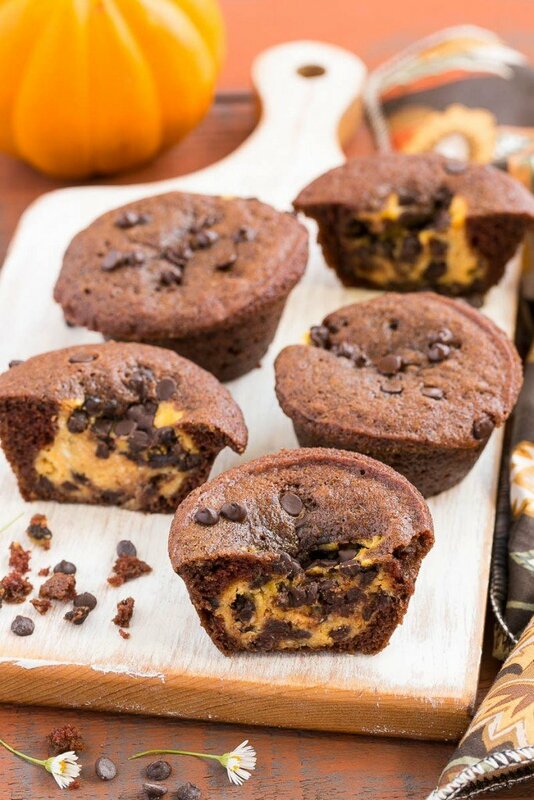 The tender muffins are filled with pumpkin cheesecake and chocolate chips for a super unique dessert option. How do you make pumpkin cheesecake muffins? These muffins are verging on cupcake, but I decided to declare them as muffins because there’s no frosting involved. But who needs frosting when you can have a chocolate chip pumpkin cheesecake filling instead? First I whipped up a basic chocolate batter. I filled the muffin tins half full, added a dollop of cheesecake filling, then covered the top with more batter. A sprinkling of mini chocolate chips on top really amp up the chocolate flavor. When you first see these muffins they look unassuming, like your basic chocolate muffin. When you bite into them and encounter the creamy pumpkin cheesecake filling, you know you’ve found yourself a special treat. 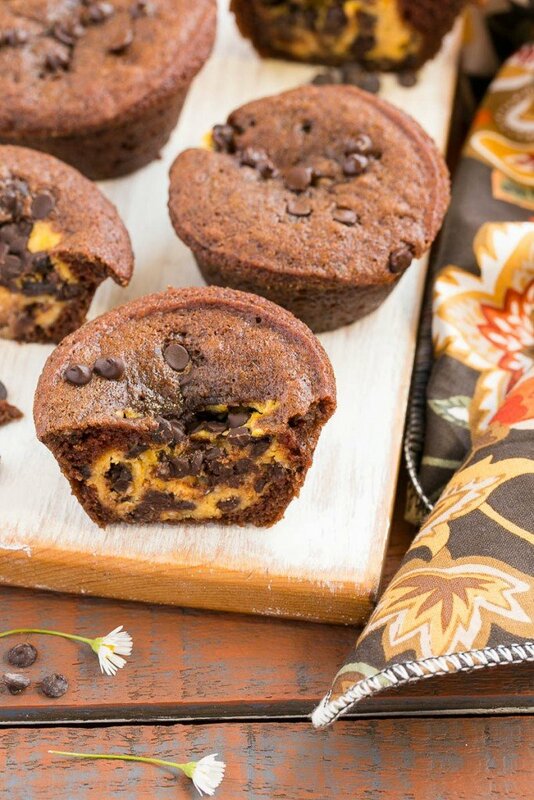 A rich chocolate muffin with a surprise pumpkin chocolate chip cheesecake filling. Preheat oven to 350 degrees. Line muffin tins with paper cups or coat with cooking spray. Place the cream cheese, egg, 1/3 cup sugar, pumpkin puree and flour in the bowl of a stand mixer that has been fitted with the paddle attachment. Beat until light and fluffy - the mixture may curdle at first but it will come together if you continue beating. In a large bowl, mix together the flour, 1 cup sugar, cocoa, baking soda and salt. Make a well in the center and add the milk, oil, vinegar and vanilla. Stir together until well blended. Fill muffin tins 2/3 full with the batter and top with 2 tablespoons of the cream cheese mixture. Sprinkle the chocolate chips over the tops of the muffins. You may end up with extra cream cheese mixture, you can put it in an oven safe dish and bake it alongside the muffins for a cheesecake snack! Bake in preheated oven for 25 to 30 minutes, until a toothpick inserted into the center comes out clean. These are delicious and a great way to use leftover pumpkin. Will make again. I made these for some friends and they loved them. One of my friends suggested adding a little peanut butter. I might try that next time. These are gorgeous and I bet they taste amazing, perfect for fall! Thanks for sharing at What’d You Do This Weekend? 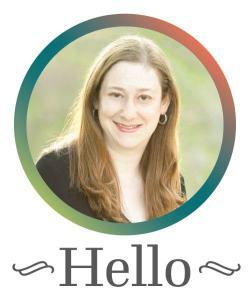 I hope you will join us again next Monday! These look like heaven! Perfect for a fall treat! Wow just in time for fall! They look amazing! WOW! These look and sound so amazing – what an incredible idea! Oh wow! These muffins both look and sound so good! YES! No one understands how much it takes to produce what they see on their screen… it’s A LOT of work. Enjoying a few of these muffins afterwards?? PRICELESS!! I love that delicious pumpkin cheesecake center.. I bet these are so addictive too! These look great! And I totally prefer when my breakfast foods are almost like desserts. It’s the way to go! So glad we can celebrate Megan together with a virtual shower! Yay for virtual baby showers!! I love these pumpkin cheesecake muffins! Such a perfect fall treat!